Of all the places to go in LA that I've talked about here, let me point out which are my personal favorites. 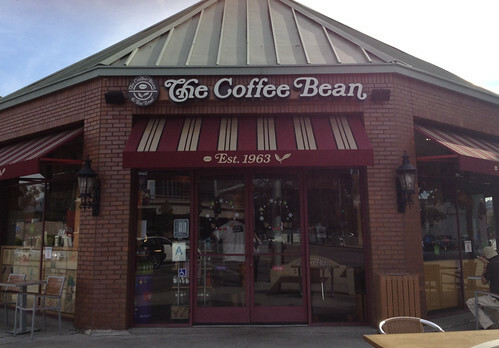 Coffee Bean is the place to go if you need quiet to write. It's stereotypical to write a screenplay in a coffee shop but who cares! Griffith Park is so nice, all the time. Go there if you need some fresh air, feel like going for a hike, or just need to get away from the city for a couple hours. Pendleton DVD Library is something I swear by now. I am going to miss it a lot when I leave, it's a resource that should be used by all students while they're here. If I make it to these three places in a day, I can say that I've been productive, so you should go to! If you're in LA and you're still a little lost, here are a few comparisons to Ithaca that might make living in LA feel a bit more familiar. There are a lot of restaurants in LA, but here are a few that I've tried out that remind me of places back at school. Poquito Mas = Moes. Poquito Mas is essentially a super chill Mexican place. They've got all kinds of stuff from tacos to burritos to tostadas. If you're feeling quick sit-down Mexican food, absolutely try it out. Chipotle = Chipotle. For all you die-hard fans of the new Chipotle downtown in Ithaca, knock yourselves out with this exact same restaurant not even five minutes away from The Oakwoods. Gala Thai = Taste of Thai. If you're looking for quick nearby delicious Thai food that can be delivered to your door, try gala thai. Their menu is straight forward and you can find them on GrubHub! It's less than 5 minutes from the apartments so it's not hard to swing in and pick food up either. Target = Walmart. This might sound obvious, but take my advice- don't go looking for an easier place to shop than Target. It's cheap and nearby, so don't fight it, as much as you may miss Ithaca's own Walmart. AMC = Cinemapolis/Regal. If you want to see a movie while you're in LA, and I'm sure you will, I recommend going to one of the many nearby AMCs. The faculty at the LA Center usually have discount passes that you can buy from them and the early shows at the theater can be as low as $6- take advantage of the cheap tickets! Go see a bunch of movies! _________ = Wegmans. I'll admit it right now. Nothing in LA is as fantastic and wonderful as Wegmans- the all-encompasing grocery story/restaurant that you can tweet at and who at-replies you telling you what isle you should look in for taco seasoning. If you want something organic in LA, go Trader Joes. If you want EVERYTHING organic, go to Whole Foods. 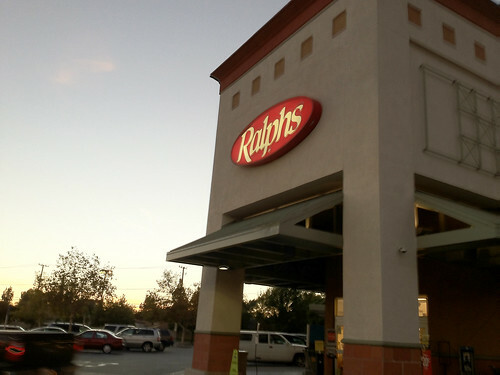 And if you want food and don't really care about how good it is for you, go to Ralph's. Clubhouses = Fitness Center. Each end of the Oakwoods has a clubhouse, North or South, and inside there's a gym... but I use the term gym very loosely. There are a few machines and a couple TVs, but I recommend for exercise using the pools that are outside the clubhouses- swimming is the best form of west coast exercise. Pendleton = All The Classrooms. 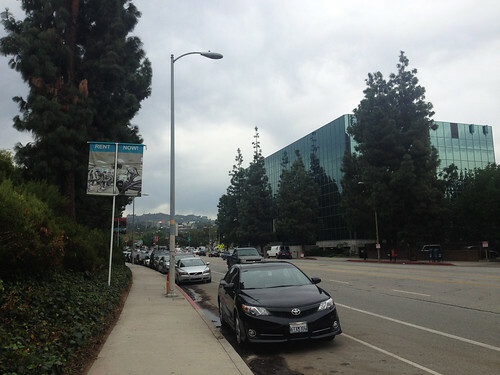 All the classrooms are in one place on the LA campus, which is convenient and close by. It's actually pretty nice, so enjoy it! Pendleton DVD Library = Library. Because come on, are you really going to rent books while you're in LA? Nope, you're gonna get DVDs. 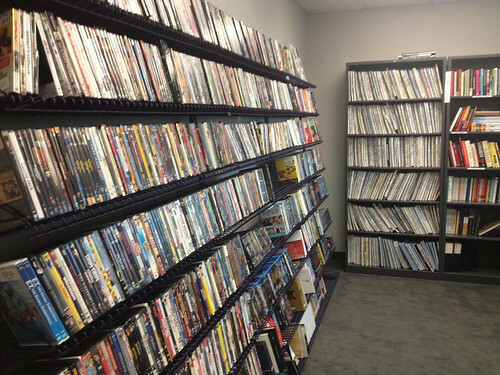 The center is in walking distance and has a ton of movies you can take out for a week at a time. It's one of the last physical renting places around! And it's free!